May be used as service-entrance conductors when installed as required by NEC® Article 230. May be used for branch circuits or feeders within a building as specified by the NEC Section 338-10. *It is the sole responsibility of the end user to determine suitability of this product for its intended end use and application. Parallel-laid conductors with the neutral conductor between the two insulated conductors. 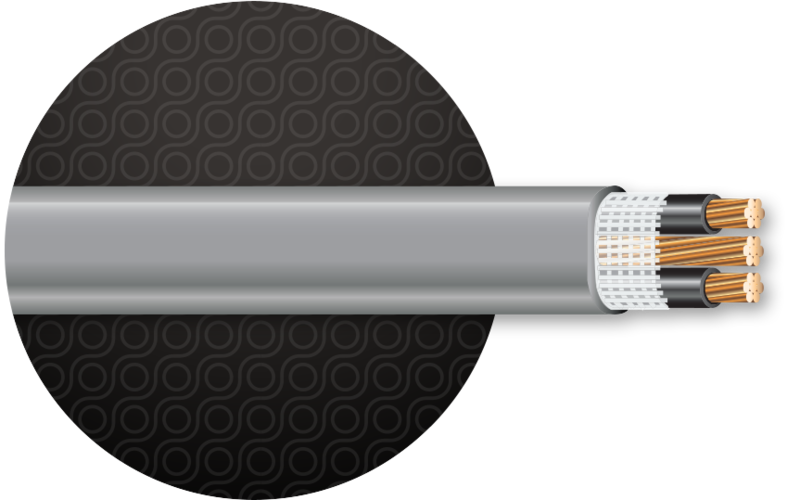 Conductors are wrapped with a fiberglass-reinforced polyester tape.